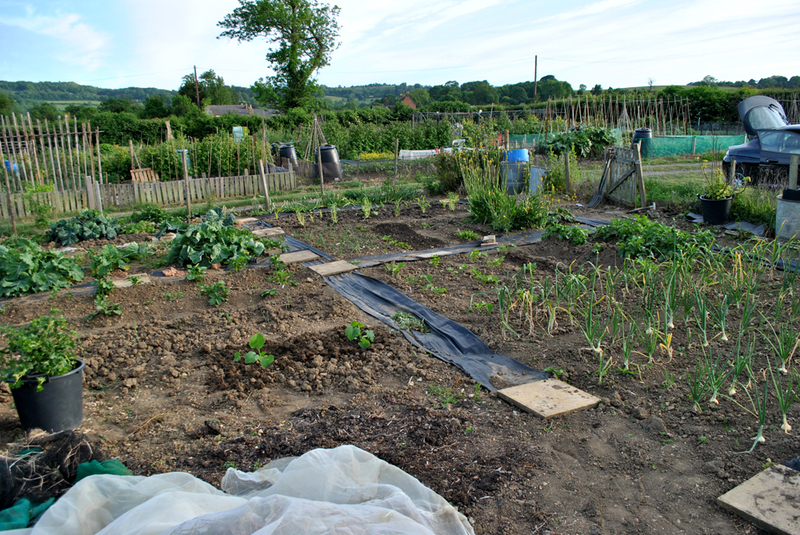 I spent some time up at the allotment tonight after work, the plan was to work on clearing the space for the fruit cage but managed to get a few other jobs done too. The best bit was the surprise discovery of a damson tree on the plot. You may think that in our fourth year on the allotment we'd have long since discovered everything that was already on it when we started out, you'd be wrong. In the 'messy' corner, where things get dumped, there's been a bush/tree thing steadily growing over the years. At first we didn't notice it, then it was left doing what it wanted because it was in the bit of the plot we used as a dumping ground. This year however it's suddenly borne fruit and it appears, to my un-trained eye, to be a damson tree. How cool is that, damson jam and other goodies await later in the year! Other than that surprise the other fruit on the allotment is doing well too. 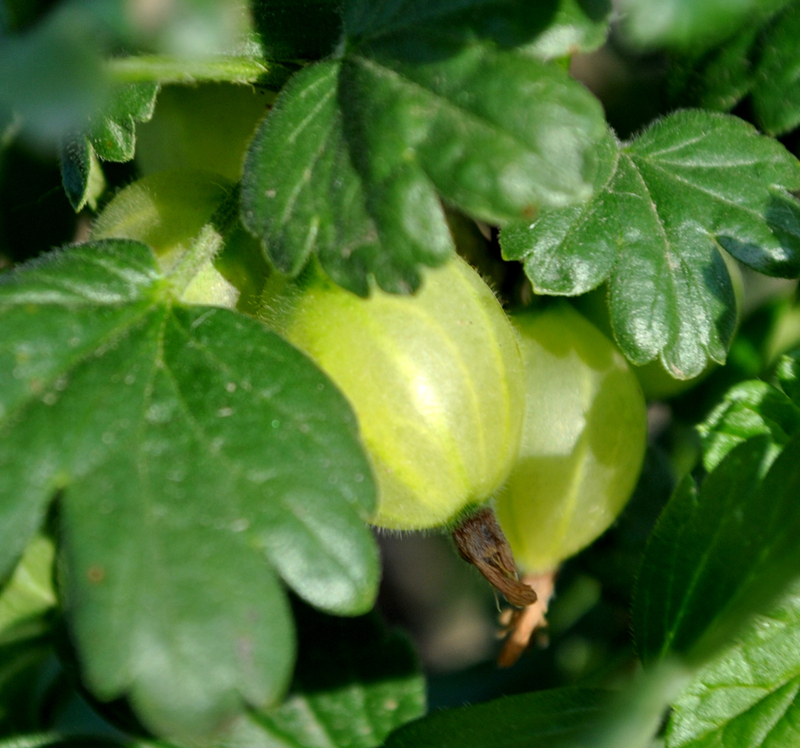 The gooseberry plant we bought earlier this year has amazingly got fruit on it already. 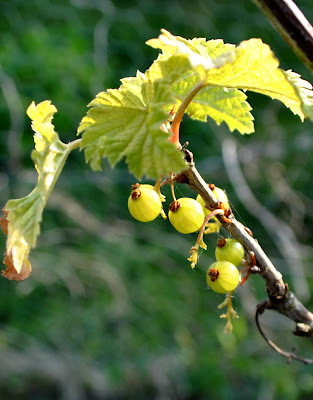 While the red currant we put in a pot last year has started to get its first fruit on it too. 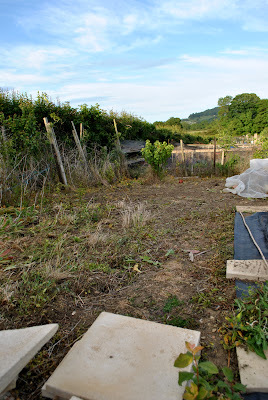 All this is perfect timing for the arrival of the fruit cage which, fingers crossed, should be here ready for building over the bank holiday weekend. With that in mind it really was time to start clearing the space. So, hoe in hand, I got to work and managed to get the back half of the area pretty much clear of surface growth. I still need to get the poles that made up one side of the old netted tunnel out of the ground and clear in there but it's at least started now. We have a damson tree in our garden and the fruits are delicious!! It looks great. I'm pleased to call by occasionally. It's looking great and your fruit cage will just finish it off. How wonderful to find a damson tree on the plot. 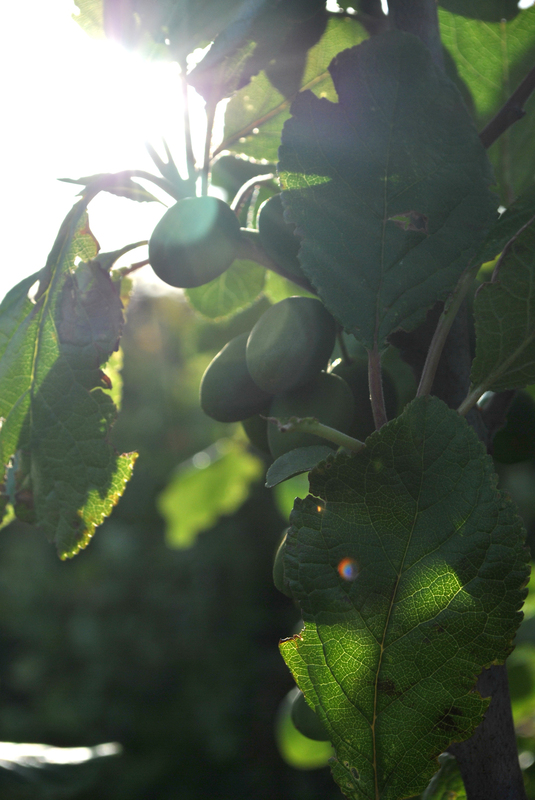 We love gooseberries. Good to see you'll get some in the first year. 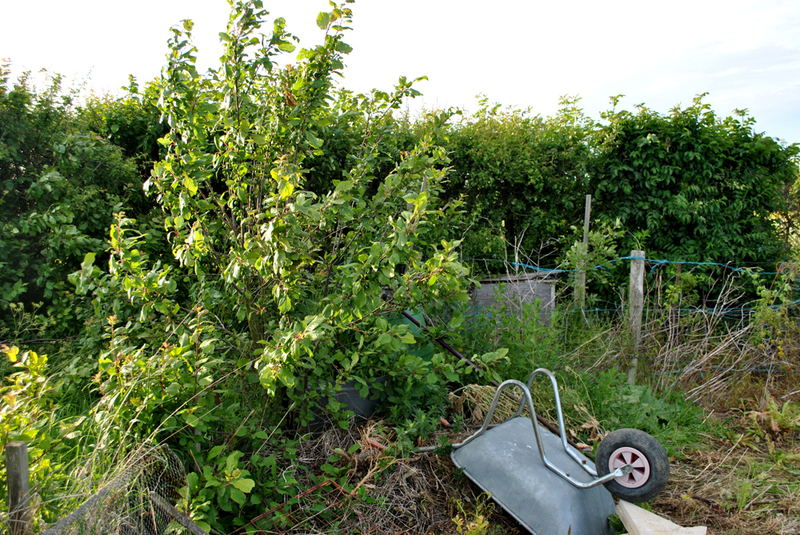 It's great to uncover freebies - our red currants and many of our apple trees were inherited! Easter Monday's 6 hours on the plot!